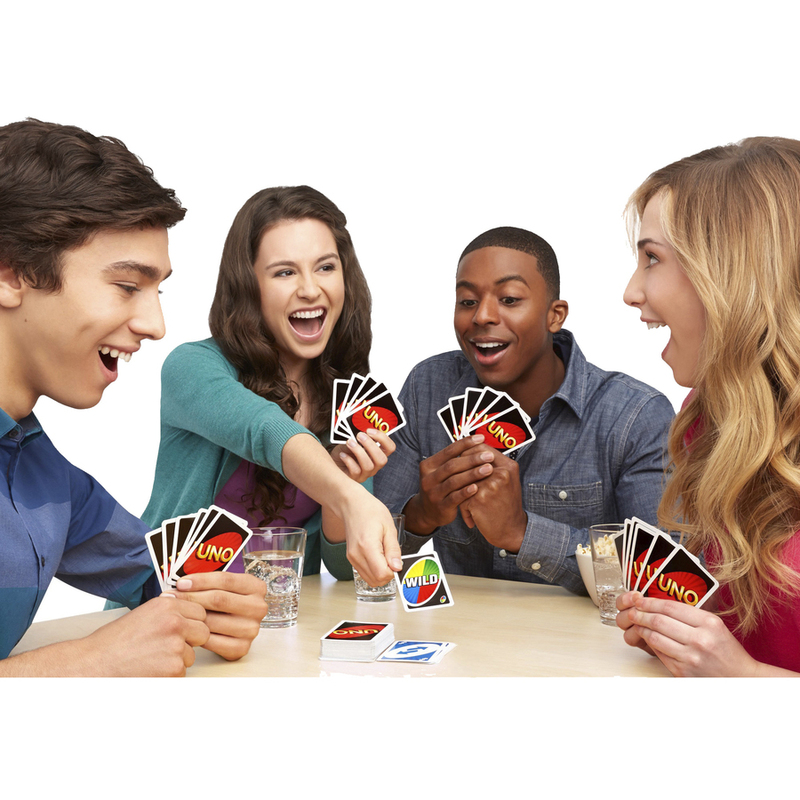 UNO is the classic and beloved card game that's easy to pick up and impossible to put down. Players take turns matching a card in their hand with the current card shown on top of the deck by either color or number. Special action cards deliver game-changing moments as they each perform a function to help you defeat your opponents. 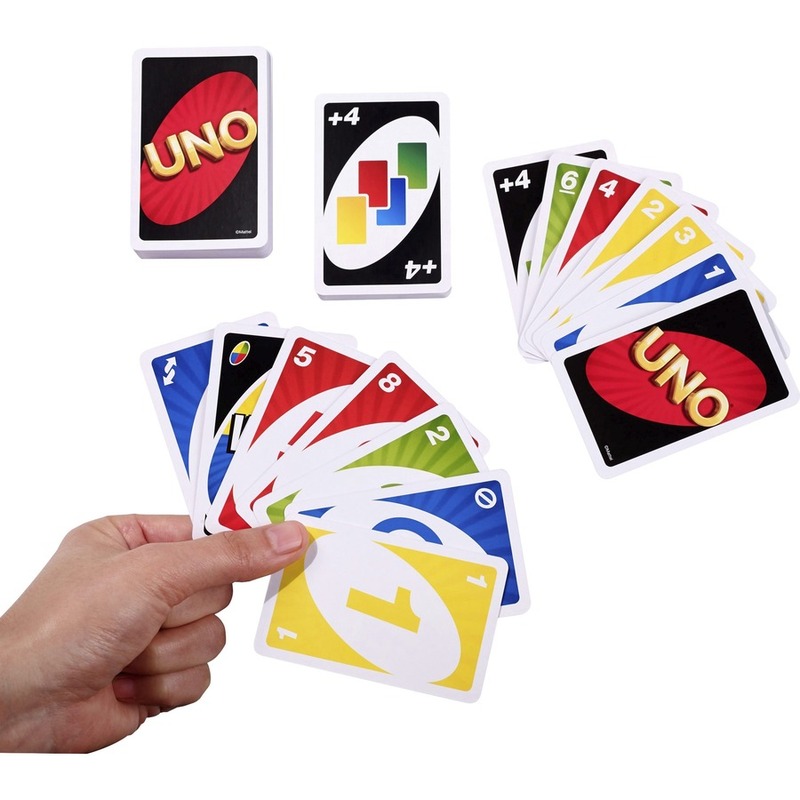 If you can't make a match, you must draw from the central pile and when you're down to one card, don't forget to shout UNO. The first player to rid themselves of all the cards in their hand before their opponents wins. 108-card deck includes 25 cards each of red, green, blue and yellow, plus the eight Wild cards. Card game requires 2 to 10 players. 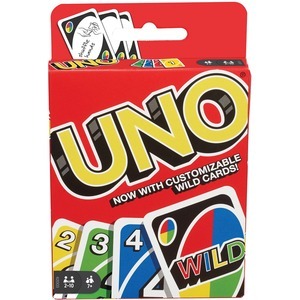 UNO is designed for ages 7 and above.